are you reaching those buyers? Get found at the top of Google and Yahoo search results with pay-per-click advertising. PPC advertising can be a highly effective method of buyer lead generation, but it does require a little time and finesse to create ad campaigns that consistently deliver results (and anyone who tells you otherwise is full of it). There are four main steps you must take to build an effective PPC campaign - keyword and competitor research, knowledgeable bidding, constant monitoring and ongoing campaign adjustments. 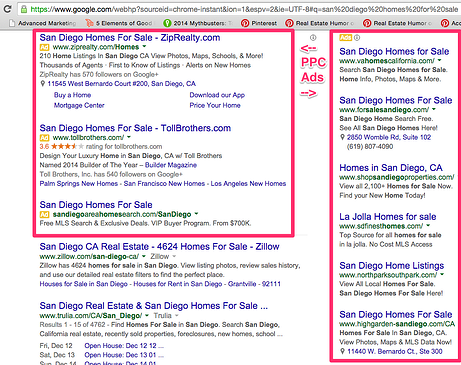 It can be time consuming, but when done well, PPC is an excellent buyer lead generation tool. Build your digital footprint and drive quality traffic to your site with search engine optimization. Think of PPC as an immediate payoff (you bid, you get displayed at the top of search results) and SEO as more of a long-term strategy (as you build out your site, you become more relevant in search results and drive more traffic). Having a well-built website that is fully search engine optimized is a critical factor when it comes to helping qualified buyer leads find you online. Optimizing your site requires a working knowledge what search engines are looking for and how to best structure your website to make the search engines happy. Check out SEO tips from Google for more information. 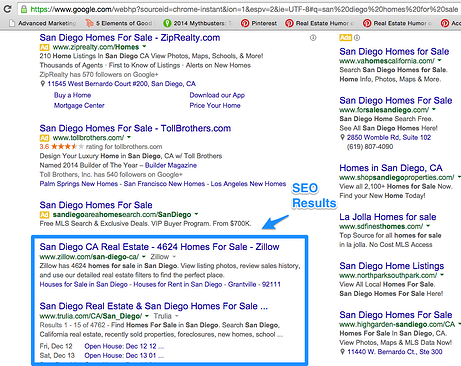 You know what helps a ton with SEO? A great real estate blog. Click here to learn more about blogging and SEO. Connect with more serious buyers focusing on specific neighborhoods on Craigslist. I'll be the first to admit that Craigslist can be a little finicky. They like to change their posting rules and regulations on a semi-regular basis to keep us all on our toes - but Craigslist is also an excellent platform for connecting with serious leads. A lead may start out researching different neighborhoods on Google, then once they narrow it down, they pop over to Craigslist to search for homes in a more specific area. 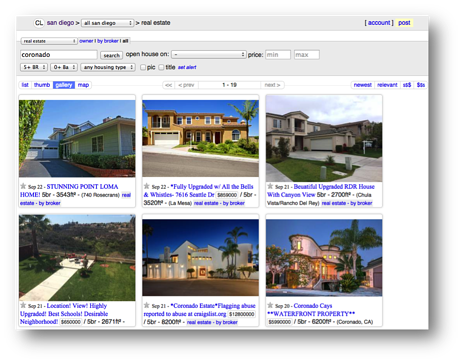 Check out this article for more information on how to use Craigslist to generate more buyer leads. Connect with buyer leads that are ready to speak to a local expert on Zillow and Trulia. 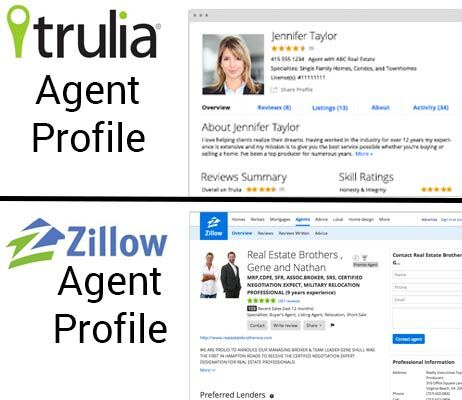 Everyone knows Zillow and Trulia - they are real estate giants that lead the charge for serious home shoppers. The great part is, they both offer free agent profiles and both provide paid advertising and lead generation services to help you get better, more qualified buyer leads. Take advantage of these tools! As someone who has spent some time looking at houses on both of these platforms myself - I can tell you there is a TON of opportunity for agents to step up their game. I'll fill out a property contact form and sometimes, if I'm lucky, I'll get a generic auto response. But most times - I hear nothing! Now that's a frustrating consumer experience - but there's a new solution for 2015 that will give you something you've never experienced before. Conversations converts buyer leads with ongoing, relevant, timely follow-up. Conversations is not a drip email campaign manager, it's not an autoresponder and there are no "one-size-fits-all" canned messages. Instead, Conversations is a first-of-it's-kind intelligent lead nurturing software powered by real estate insights. When a new lead from Trulia or Zillow is automatically added to Conversations, the system evaluates every detail the lead has provided and sends a relevant, personalized follow-up message within five minutes. It looks just like a hand-written message from you and includes details about the specific property your lead asked about. Over time, Conversations continues to monitor all lead activity and sends out relevant messages that will be helpful in their search - like a new listing that matches your lead's search critera or a price drop notification on a property your lead previously inquired about. Every single message is also optimized to generate replies, which means it's become easier than ever to spark a dialogue with your leads that culminates in strong business relationships. In a nutshell, Conversations is intelligent, data-driven lead nurturing automation that gives agents the freedom to balance prospecting and current clients relationships without sacraficing quality. experience the future of real estate marketing! Take advantage of introductory pricing, which starts at just $49 a month.